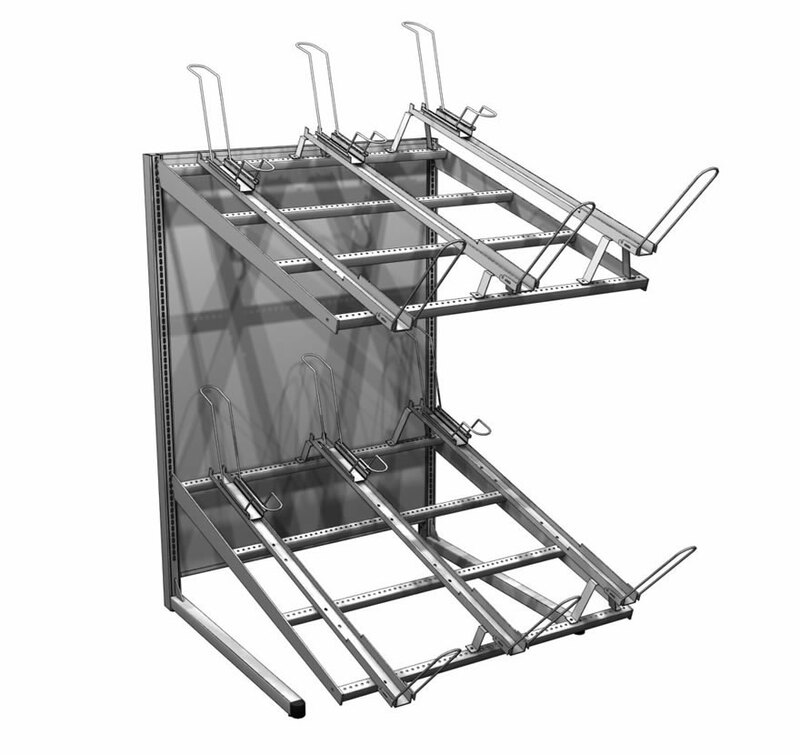 Convert your Wall or Island section into a Bicycle Rack. 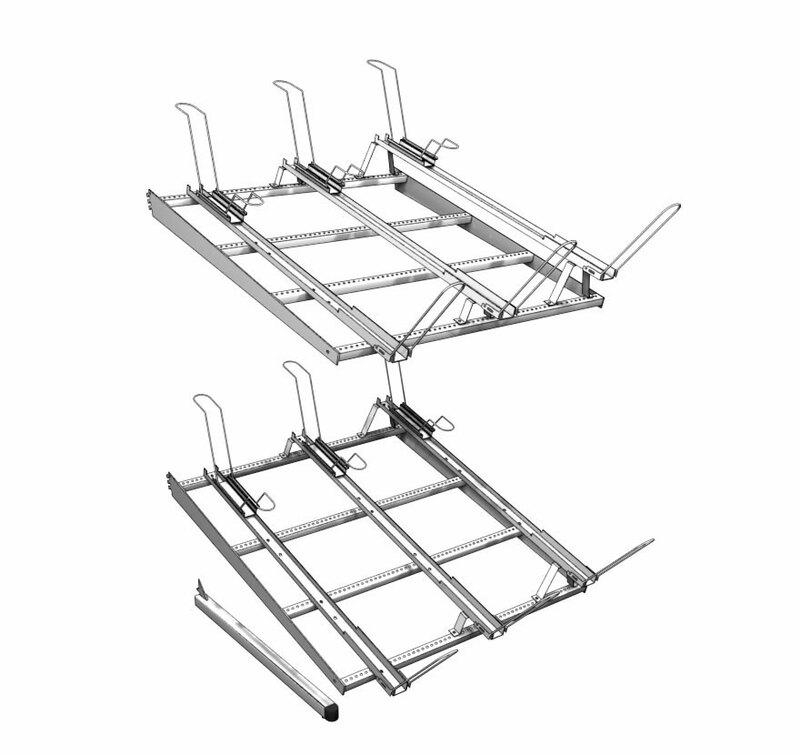 The Rack supports six bicycles per 48″ wide section. Each section has two levels and holds three bicycles per level. Rear sliding wheel holder and Bike Channels secure bicycles in place. Need to order one Bike Wall or Bike Island End per run. 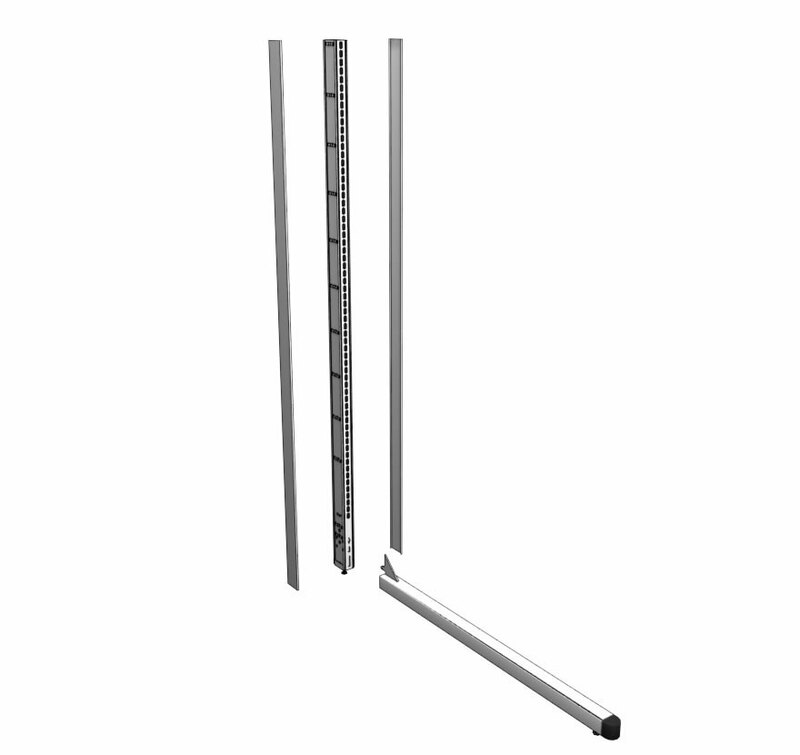 Bicycle Rack fits on a standard Wall or Island section with some modifications. See below for Island or Wall ordering procedures.